IOWA CITY, Iowa, Sporting Alert – Missouri upset No. 12 and No. 17 Oklahoma State to win the NCAA Midwest Regional women’s crown on the Ashton Cross Country Course on Friday. The Tigers are among that received votes in the latest rankings, but they were not one of the picks to win the Midwest Regional team title in Iowa City. However, the underdogs, led by individual champion Karissa Schweizer, ran a well-controlled race to top the pre-championship leading programs and landed the overall crown with 83 points. Defending Midwest Regional champion Oklahoma State grabbed the other automatic team berth after the Cowgirls raced back in the last half of the race to score 89 points for second place. Big 12 Championships champion Iowa State, which is ranked 12th in the country, had to settle for third with 90 points, despite looking like the team to beat in the early goings. The top five was completed by Minnesota (131) and early leader Kansas (154). 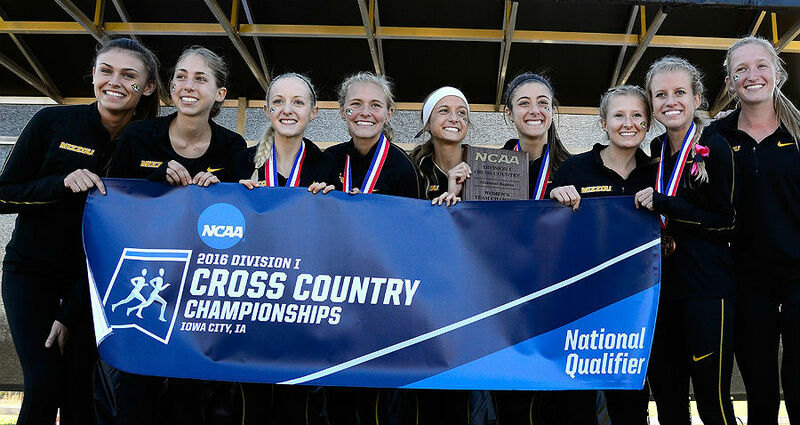 The team title for Missouri was well set up by Junior pacer Schweizer, who fended off the challenge of fellow All-American Sharon Lokedi of Kansas to win the women’s individual race. Schweizer outsprinted Lokedi in the closing metres to win the women’s 6,000-metres with a time of 19:54.4. She led home team-mates Jamie Kempfer (20:17.9) in 5th, Nicole Mello (20:44.3) in 20th, Teylar Adelsberger (20:45.7) in 21st and Jordyn Kleve (21:08.5) in 36th. Senior Kaela Edwards led Oklahoma State with a sixth-place finish with a time of 20:23.0. Freshman Michelle Magnani ran 20:32.7 for 13th place, while junior Aurora Dybedokken also finished in the top 20 after taking 14th with a performance of 20:36.9. Individually, sophomore Lokedi of Kansas was second to Schweizer in 20:00.7, Hope Schmelzle of Northern Illinois finished third in 20:16.9 and fourth went to Aubrey Roberts of Northwestern in 20:17.1.